South of Interstate 33, to the east of Grand Lake St. Marys, you’ll find the city of St. Marys, Ohio. 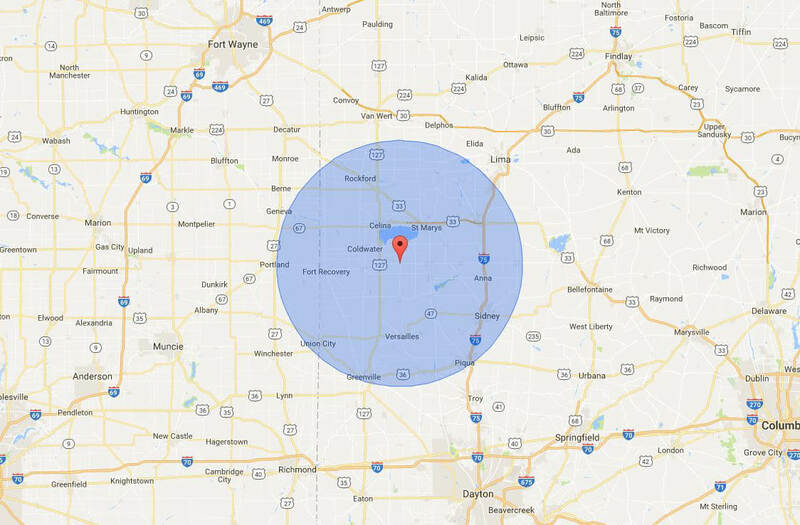 It’s part of Auglaize County, counted as part of the Wapakoneta Micropolitan Statistical Area. Around 8,300 people call St. Marys home. The city of St. Marys came into existence around the same time Grand Lake St. Marys was created. It is the largest man-made lake in the world to be dug without mechanical equipment, serving as a reservoir feeding the Miami and Erie Canals. While canal use diminished long ago, Grand Lake St. Marys is still widely used for recreational purposes by nearby residents. For shopping, dining or a night out, St. Marys has something for you. You can walk the paths along the canal, visit antique shops in Uptown St. Marys, or grab a bite to eat at many of the local restaurants. When you need vehicle repairs or service in St. Marys, visit Chickasaw Garage in nearby Chickasaw. We are a family-owned and operated repair shop with a highly experienced staff, offering education on proper vehicle maintenance. We like to develop long-lasting relationships with our customers, founded on trust. You will find us 13 miles southwest of St. Marys in Chickasaw.